President Gloria Macapagal Arroyo' s State of the Nation speech in 2005 has no reference to heritage and environmental conservation. In the same year, Arroyo declared her personal residence a national heritage site, violating the rules of the National Historical Institute. On Sept. 29, 2003, Philippine President Gloria Macapagal-Arroyo concealed something of importance from UNESCO. She delivered a speech during the opening ceremony of The 32nd Session of the General Conference of UNESCO in Paris. She praised UNESCO's efforts in preserving Philippine cultural heritage. But the next day, her political ally, mayor Vicente Y. Emano, inaugurated a road-and-bridge project that destroyed a huge portion of Huluga. Huluga is an archaeological area composed of caves and an Open Site. The latter is the venue of a prehistoric, fortified village, recorded by Spanish friars in 1622 as being populated by 500 natives. 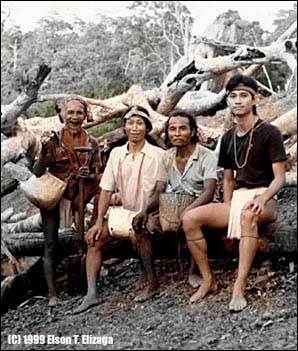 Huluga is the home of the original people of Cagayan de Oro and vicinities. A female cranium found in one of the caves was dated by a US scientific firm -- the Scripps Institution of Oceanography -- as coming from AD 350. Also found were earthenware pots, stone and metal tools, possibly Indian glass beads, Chinese porcelain fragments, and vestiges of possibly Annamese and Thai wares -- indications of overseas trading. The Open Site yielded potsherds, Chinese celadon sherds, and obsidian flakes. The National Museum recognizes the archaeological value of Huluga when it gave the Open Site and caves separate accession numbers in 1992. Archaeological sites in the Philippines are guaranteed legal protection, but in 1999, mayor Vicente Y. Emano conceived the plan to bulldoze Huluga to give way to "development" -- a P635-million road-and-bridge project. The project was stopped in 2001 when the Department of Environment and Natural Resources (DENR), responding to persistent protest by the Heritage Conservation Advocates (HCA), issued a cease-and-desist order. But, unknown then to HCA, it was lifted and the project continued in 2002, even though the project had no Archaeological Impact Assessment (AIA) and was, and remains, illegal. On June 7, 2003, HCA members were horrified to discover that a road had cut through 60 to 80 percent of the Huluga Open Site. In the words of anthropologist Clyde Jagoon who visited the area months later, the place was "split like the Red Sea". Despite the huge damage, HCA members, doing surface examination, were still able to collect earthenware and Chinese pottery sherds, obsidian flakes, animal bones, an ancient Spanish coin, and a whale harpoon similar to those being used in Lomblen Island, Indonesia, near Australia. On July 16, 2003, several HCA members filed a case against Emano and the contractor UKC Builders, before the Environmental Management Bureau (EMB). On July 28, 2003, HCA sent a huge photo of the destruction to Arroyo. With the photo was a letter, requesting her to stop the road-and-bridge project. But the project continued, and eventually inaugurated by Emano on September 30, 2003, one day after Arroyo delivered her speech at UNESCO. In January 2004, the city council -- which is monopolized by Emano's political party -- enacted an ordinance that would authorize Emano to sign a contract with the Archaeological Studies Program (ASP) of the University of the Philippines to do salvage archaeology in Huluga and vicinities. ASP, however, violated archaeological code of ethics by not consulting local archaeologists and other concerned individuals in Cagayan de Oro. Then, after digging on top of Obsidian Hill for a week, ASP came up with a report that said the site was nothing but an ancient camp, not a settlement. The report does not mention a midden recently discovered by Xavier University archaeologist Dr. Erlinda M. Burton. The midden is just below the hill. The biggest obstacle to the preservation of Huluga and other archaeological sites in the Philippines is government apathy and government-sponsored assault on these sites. All government agencies asked by HCA for help -- the Environmental Management Bureau (EMB), the Department of Environment and Natural Resources (DENR), the Department of Tourism (DOT), the National Museum, the National Commission for Culture and the Arts (NCCA), the 4th Infantry Division of the Armed Forces of the Philippines, and the Office of the President -- all of them have failed to stop the systematic destruction of Huluga. HCA filed a case against Emano and his contractor in 2003. EMB decided in favor of HCA, but Emano elevated the case to the EMB head office in Manila, too far from the cash-strapped HCA petitioners. As of this writing, the case remains unresolved. The National Museum, too, instead of filing a case against Emano, approved a P450,000 digging contract between ASP and Emano. The National Museum is under the Office of the President of the Philippines. Its director is Cora Alvina. To give the illegal project an air of legitimacy, the City Council filed an ordinance naming the bridge "Emmanuel Pelaez". Pelaez, who died in 2003, was a former vice-president of the Philippines. HCA received verbal and written promises of assistance from politicians like Senators Loren Legarda and Aquilino Pimentel, Jr. -- a native of Cagayan de Oro -- but nothing productive came out of them. Legarda, a vice-presidential candidate during the last election, issued a resolution that called for Senate investigation on Huluga, but it never happened. Presidential advisers Luis Lorenzo and Tingting Cojuangco talked with HCA members, but nothing came out of the meetings. Actress and environmentalist Chin-Chin Gutierrez, named one of Asia's new heroes by TIME, came to Cagayan de Oro like a princess, wearing an elaborate native headdress, and issuing statements like we are the children of Mother Nature. But when I gave her photos of Huluga and asked her to visit the place, she declined, explaining that she was scheduled to attend a concert rehearsal. Perhaps, the international community -- starting with UNESCO -- could now provide pressure on the Philippine government to save what remains of our heritage, which is also the heritage of the world. Funding agencies and investors should examine if they are not unwittingly conniving with "cultural terrorists". World leaders must discuss the purpose of dealing with a president who desecrates the land of her own ancestors, misleads UNESCO, and sees nothing wrong with controlling the result of the national election. Form a committee composed of an archaeologist, geologist, geomorphologist, and surveyor. The committee will delineate the Huluga area to be preserved and developed. Produce an aerial photo of the delineated area. Produce a map of the delineated area and its surrounding. The map should be topographic. Place "no trespassing" and other signs for the delineated area. Conduct test pits in spots suspected to be filled with artifacts and fossils. Conduct survey of reported "new cave". Construct a replica of the prehistoric village for education and tourism. Have the National Museum deputize the Museo de Oro curator, and other curators in the Philippines. The Site and Monuments Committee of the National Commission for Culture and Arts (NCCA) last year proposed the transfer of the bridge to an area away from the Huluga Open Site and caves. While some observers say this demand is unrealistic, HCA supports it because the road and bridge are illegal projects. Published February 5, 2004. Copy given on February 2004 to Brian V. Gonzales, President, UNESCO CLUB Metro Manila; and Bambi Harper, Commissioner for Culture, UNESCO. Elson T. Elizaga (right) is a writer, photographer and heritage consevationist. He made process documentation of the Hanunuo Mangyan in Umabang, Bulalacao, Oriental Mindoro from 1983 to 1985, as researcher of the Research Center and the Educational Management Center of De La Salle University. Note on obsidian flakes and AD 377 corrected on December 7, 2009.